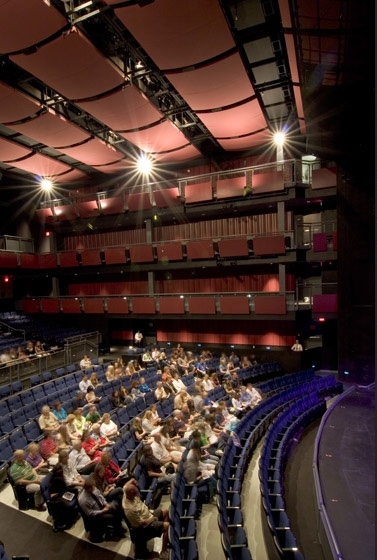 The Las Vegas Academy Theater for the Performing Arts is a 750-seat multipurpose auditorium serving Clark County School District’s magnet school for the arts. Conceived as both a teaching facility, as well as a public performance space, the project houses the academy’s technical vocation programs, drama, musical theater and orchestral departments. The project consists of two buildings, the theater and a 16,750-square-foot visual arts building and central plant. The acoustic performance of the auditorium was tailored to support the developing voices and presence of the Las Vegas Academy students. 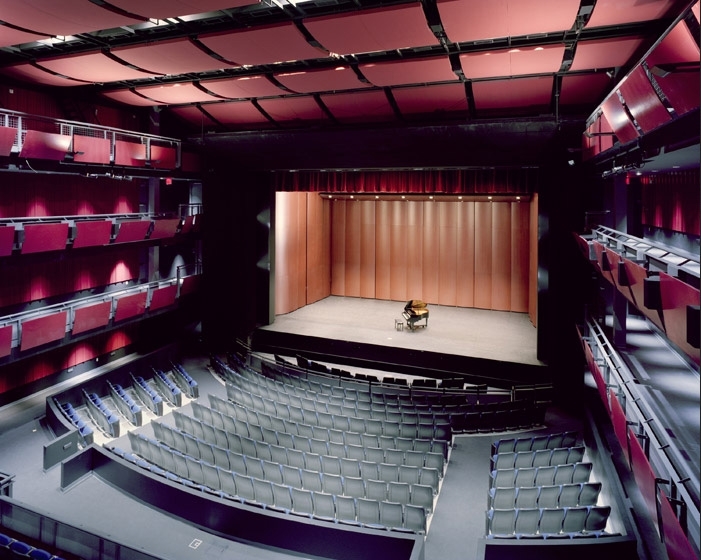 Initial design decisions regarding the size and shape of the auditorium were based on the vocal strength of the teenage spoken word. This consideration led the design team to adopt a traditional shoe box design with side gallery seating to minimize audience distance and the overall volume of space. The proscenium arch also responds to this, as the thrust arch places performers closer to the audience, providing greater projection than typical flat proscenia. While the small house was ideal for drama, it is problematic for orchestral performances, as the small volume of the house results in short reverberation times that would flatten acoustical warmth. Instead of expensive moveable building partitions to increase the building's volume, the design team incorporated an acoustical enhancement system. This system samples onstage performances and builds a reverberant acoustic field within the auditorium. This residual sound lengthens musical notes and warms the performance.